A member of the Hart wrestling family and a second-generation wrestler, he has an amateur wrestling background, wrestling at Ernest Manning High School and Mount Royal College. Along with his nickname “The Hitman”, Hart was known by the monikers “The Excellence of Execution”, “The Best There Is, The Best There Was and The Best There Ever Will Be” and “The Pink and Black Attack”. Hart joined his father Stu Hart’s promotion Stampede Wrestling in 1976, and made his in-ring debut in 1978. He returned to sporadic in-ring competition in 2004 and 2006, and in 2010 with WWE, where he won his final championship, headlined that year’s SummerSlam event, and served as the General Manager of Raw. 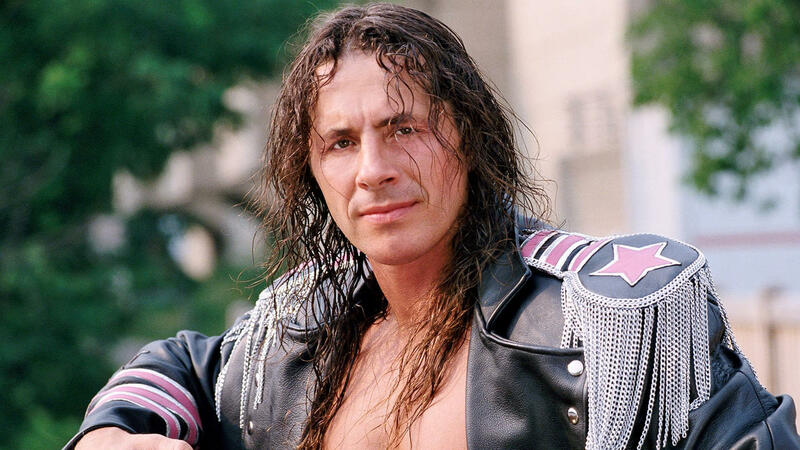 He makes occasional appearances for WWE, who has described him as both an “innovator of offense” and “arguably the greatest technical wrestler in WWE history.” The promotion has also described Hart as one of the biggest names in the history of the business, and perhaps the most popular in the world by the mid-1990s. He headlined WrestleManias IX, X and XII, and participated in the headlining matches of the 1997 and 1999 editions of WCW Starrcade – as a special enforcer in the former. Hart has held championships in four decades from the 1970s to the 2010s, with a total of 32 held throughout his career, and 17 held between the WWF/WWE and WCW. He is a seven-time world champion, having held the WWF Championship five times and the WCW World Heavyweight Championship twice. He spent more time as WWF Champion than any other wrestler during the 1990s, with a total of 654 days as champion, and was the first WCW World Heavyweight Champion born outside the United States. He is also a record-tying five-time WCW/WWE United States Champion, and the second WWF Triple Crown Champion and fifth (with Goldberg) WCW Triple Crown Champion. Hart was the first man to win both the WWF and WCW Triple Crown Championships. He is also the 1994 Royal Rumble winner (with Lex Luger), and the only two-time King of the Ring in WWE history, having won the 1991 tournament and the first King of the Ring pay-per-view in 1993. Steve Austin, with whom Hart headlined multiple pay-per-view events as part of a critically acclaimed rivalry from 1996-1997, inducted him into the WWE Hall of Fame in 2006.